In my last post, I talked about my first impressions of the city. Now, I will give you some highlights of my first week in Hong Kong. 1. My hostel is about two blocks away from Kowloon Park. This park is fabulous. It has a fitness center, swimming pool, walking trails and kung fu courts. I frequently go running or walking through the park. 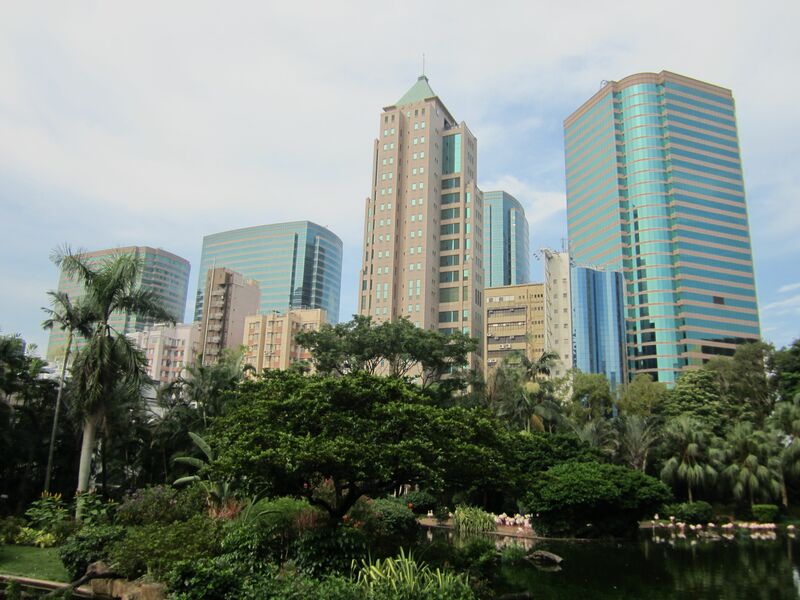 There are also equally amazing parks on Hong Kong Island. 2. 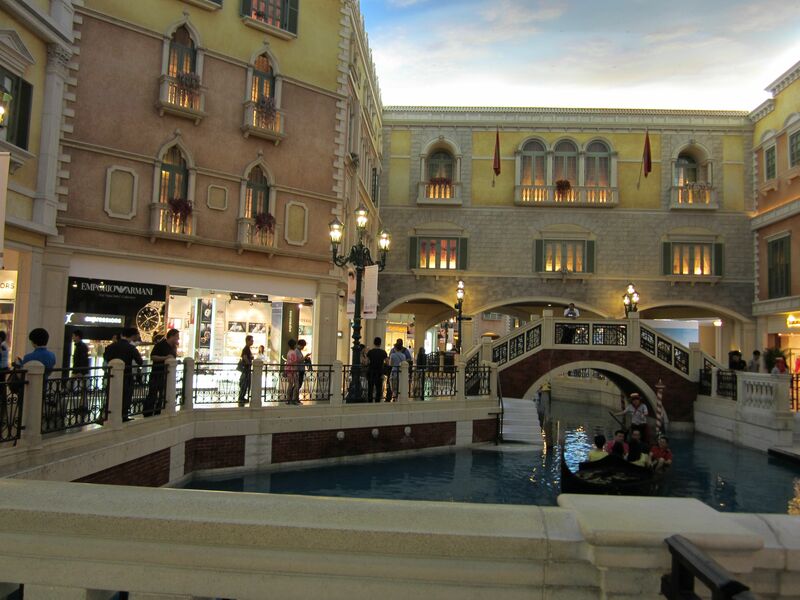 I went to Macau on Thursday afternoon because I had to exit and re-enter on my working visa. True to my adventurer spirit, I went without a plan and without a map. So I accidentally bought a ticket to Macau-Taipa which is where all the casinos are and not historical sites. So I spent my afternoon wandering around the casinos. 3. Beth (another mission intern) and I spent Saturday exploring Hong Kong Island starting in Victoria Park and moving towards Central (neighborhoods in Hong Kong). 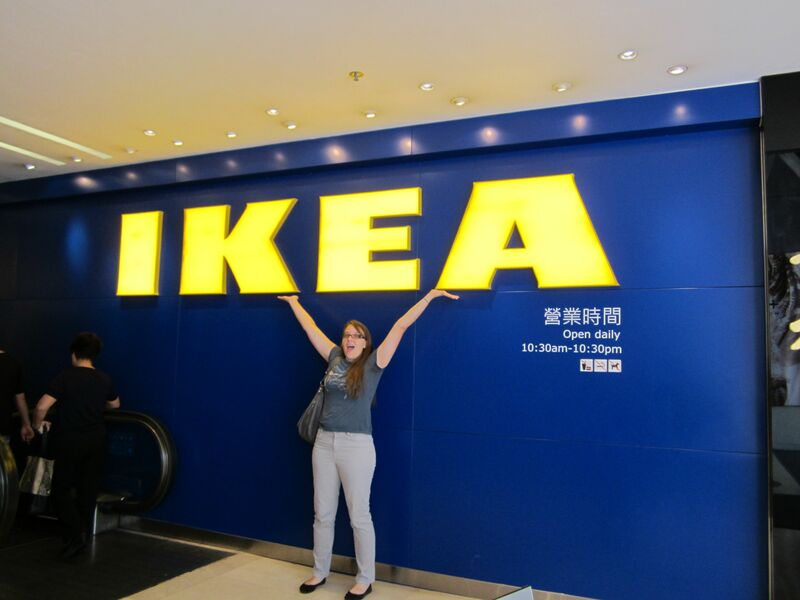 We found the Ikea!